Starting from Payao fresh seafood retail shop in along the sea of Awase, Okinawa City. 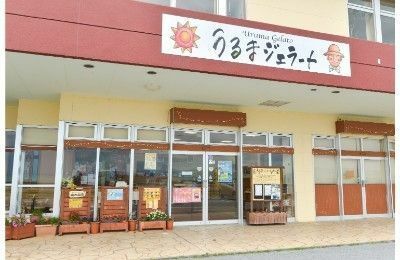 After finishing a meal, head to Kaichu-doro, Uruma City which takes about 15 minutes by car from Okinawa City. 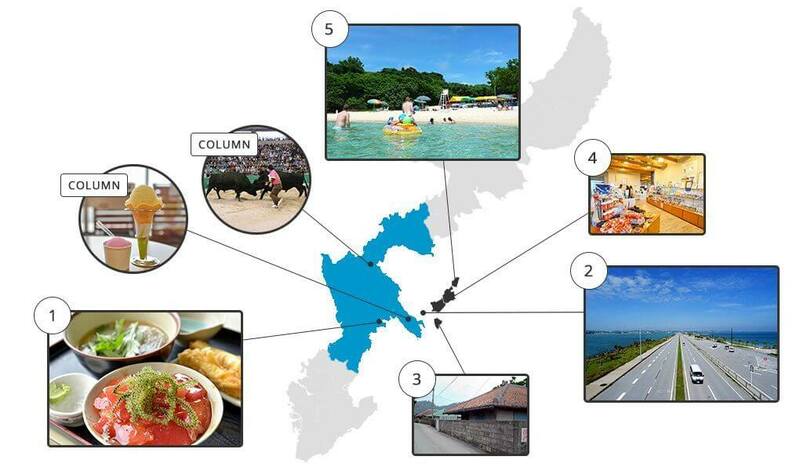 Beyond Kaichu-doro, there are 4 islands: Henza Island, Hamahiga Island, Miyagi Island and Ikei Island. Each Island offers its own way of attractions such as shopping, snacks, pilgrimage, a tour of salt factory and playing at the beach. A payao is a type of fish aggregating device. 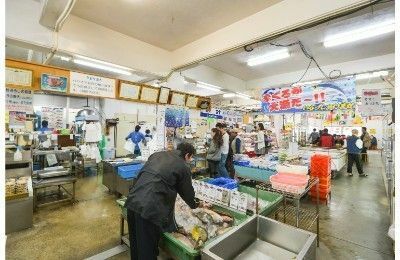 This is one of the fishing methods to use the habit of migratory fish that gather floating objects, and the various fish from the surrounding seas caught by the method are sold directly at the shop. The freshly-caught tuna is recommended. 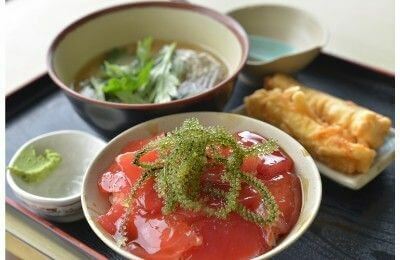 A restaurant which is located within the shop offers fresh seafood dishes such as grilled Japanese spiny lobster with sea urchin set meal and tuna bowl with plenty of tuna. Payao fresh seafood retail shop in Awase Port Official Website *Only in Japanese. 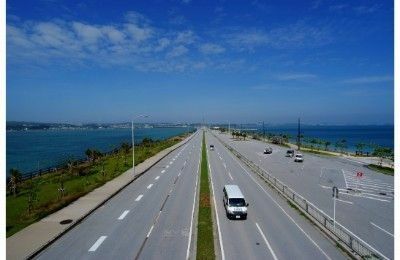 This is the 4.7-kilometer long road which was built over the beautiful ocean. It connects Yokatsu Peninsula to Henza Island, and you can enjoy driving by looking at the sceneries. On a sunny and windy day, you will see windsurfers riding waves. At Umi no Eki Ayahashi Hall in the middle of the road, the local products are available. 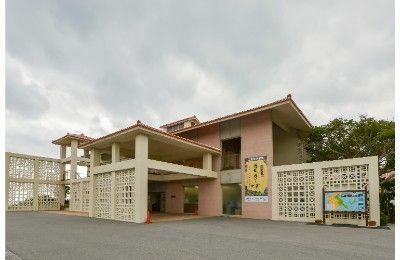 A restaurant and an ocean cultural museum are located as well. Low tide significantly pushes back the tide into the ocean, therefore, visiting at high tide is recommended. 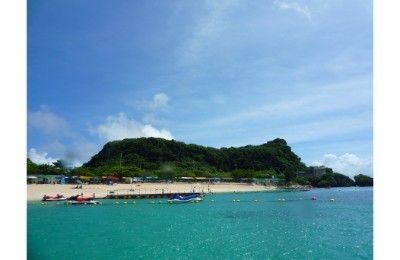 Ryukyu Kaibyaku, the Okinawan legend of the Goddess and God named Amamikiyo and Shinerikiyo, remains on this mysterious island. There are historical spots including the grave of Amamichu (Amamikiyo) which enshrine both God / Goddess, and the Shirumichu Cave where is believed that they lived. In the Shirumichu Cave, there is a woman-shaped stalactite which is respected as a miraculous stone for being blessed with children. Miyagi Island lies between Ikei Island and Henza Island. Nuchi Una is the factory to produce the salt. The produced natural sea salt called Nuchi Masu is known for containing rich mineral. At the factory, visitors can take a tour to learn the salt production. 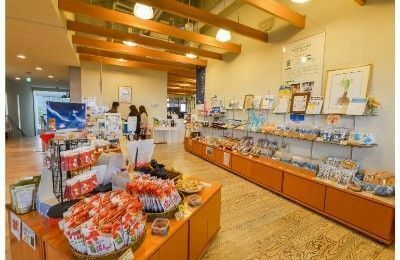 Salt-related products including seasoning, confections and cosmetics are available at a shop, and dishes cooked with high-quality local ingredients and are served at a restaurant. Nuchi Masu Factory Nuchi-Una *Only in Japanese. 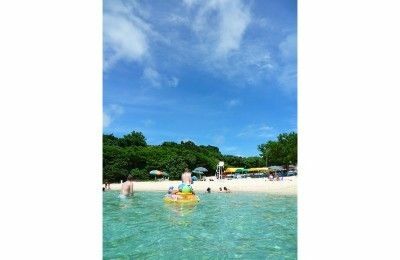 This island is about 8 km around, and it is located at the east end of Central Okinawa. It can be found after passing through Henza Island and Miyagi Island. The beautiful and shallow Ikei Beach stretches out after crossing Ikei Bridge from Miyagi Island. Shower rooms and a shop are located, and equipment rental service is also available. This is recommended spot for swimming. Also, tranquil sugarcane fields stretch out when you proceed to tip of the island. 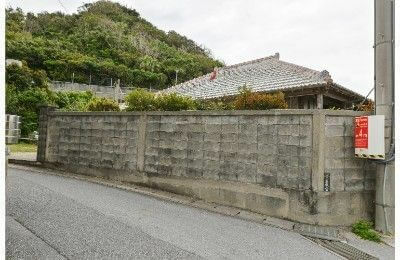 The officially-designated Nakabaru Ruins (a ruin of pit dwelling house) is interesting as well. 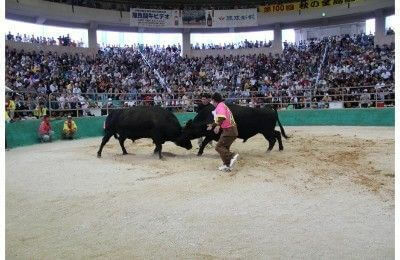 Bullfighting is called “Ushiorase,” and it is popular in Okinawa. It has a long history, and it has been inherited as entertainment. Bullfighting had started from the late Meiji period, and it was suspended by the war. After resumed in 1947, it gained a wide range of fan by producing star bulls and being broadcasted on TV. 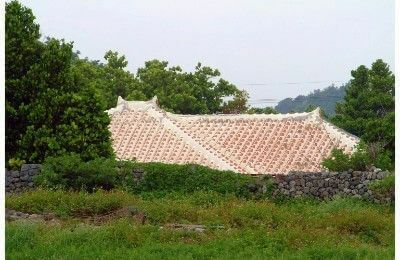 Although not as popular as before, it established a role as the core of main festivals in the Central Okinawa. 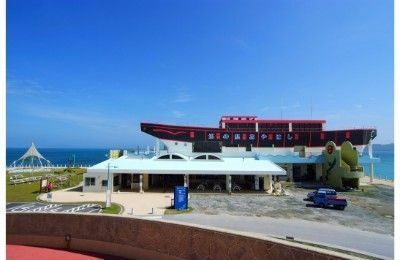 Especially, Uruma City is known as the home of for bullfighting in Okinawa, and bullfighting is attracting the young, women and foreigners in recent years. Many tournaments are held at Ishikawa Multipurpose Dome in Ishikawa, Uruma City. The first dome-covered bullring in Okinawa was built in 2007. Since then, about 20 bullfighting tournaments including “All Okinawa Bullfighting Tournaments” sponsored by Okinawa Prefectural Bullfighting Federation are taking place at the dome. Due to the completion of Ishikawa Multipurpose Dome, the number of games is reduced at Agena Bullring in Uruma City which is one of Okinawa’s largest bullrings. Some tournaments are held there once or twice a year still now. The world of bullfighting is yet deep. The techniques, types of horns, different bull breeds, and more. Anyway, let’s watch a bullfight first. ISHIKAWA BULL FITGT Ring *Only in Japanese. OKINAWAN CHILI PEPPER FLAVORED ICE CREAM?! There is a gelato shop just right before Kaichu-doro. You can enjoy the distinctive flavors created by the owner using vegetables and herbs produced by the owner’s husband. 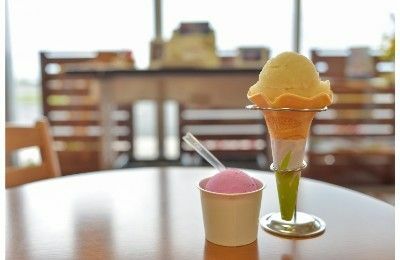 12 kinds of flavor including chocolate, shiikwaasaa (Taiwan fragrant lemon), green tea and café mocha are on the regular menu. Furthermore, Nuchi Masu, organic tea by Yamashiro Tea Garden, sweet potatoes in Ikei Island, Okinawan peppers, mix of pumpkins and sweet potatoes, local products of Uruma City and other flavors are also available. This is a good shop to stop by in the middle of the driving. Uruma Gelato *Only in Japanese.